Welcome to the industries most powerful pan, tilt and zoom cameras. Built for quality, made for professional video communications. 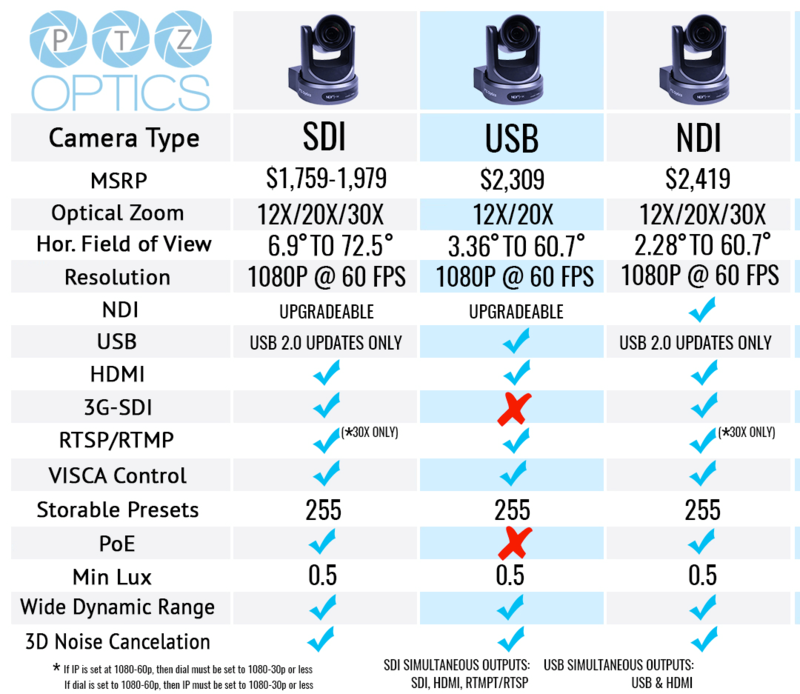 Our plug and play USB 3.0 camera models are built with ease of use and compatibility in mind. With game changing optics and options for video communication installations. Designed to accommodate plug and play ease of use and more advanced video communication workflows. See just how easy it is to setup on your network below. Designed for flexible live streaming and video production environments. 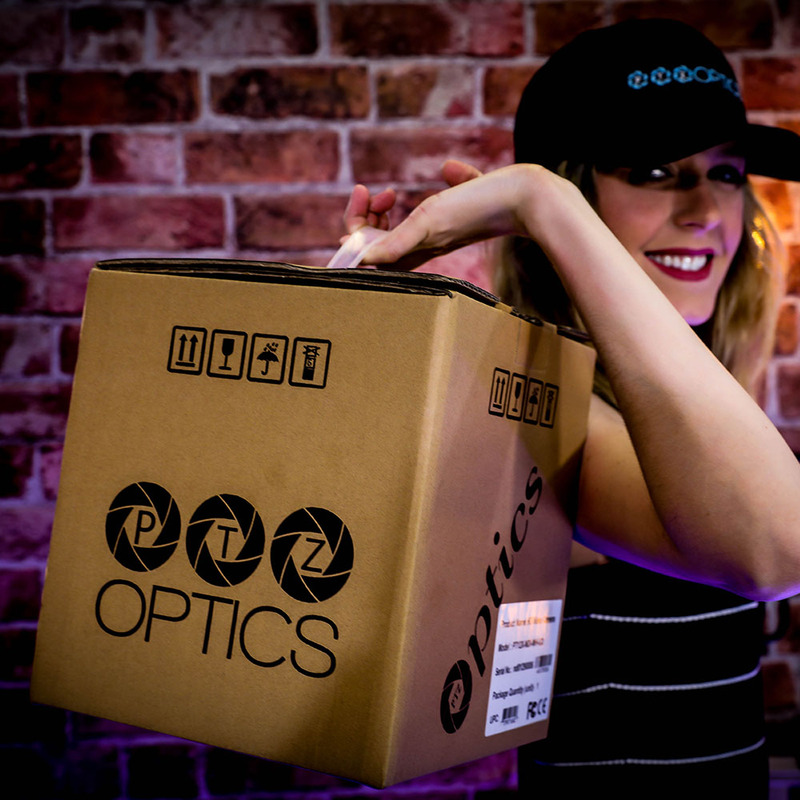 PTZOptics quality optical lenses and control capabilities provide endless possibilities for high definition broadcasting. The USB 3.0 models can be NDI™ upgraded or come native with NDI™ capabilities. For more information, see the NDI page. Remote camera control options when and where you want them. Whether the controls are built-in to your favorite video production software or provided by one of our hardware joysticks, your options are plentiful. Try our free IP Camera Controllers for Mac, PC and OBS (Plugin) here.